So, I finished the book that I was reading for the past month. I suppose I slowed down in my book reading rate, due to the fact that I was busy traveling, taking pictures, and so on. But now, I am back here in Buffalo, and so my brain needs some fodder again. I picked up my previous book in a bookstore in Copenhagen, and started reading it there. I had the intent of leaving it whenever I would finish it, but it happened that I wasn't able to finish it until yesterday. So, upon finishing it, I replaced it in my bookshelf. My bookshelf is occupied by academic books for the most part, but it has some fiction as well, mostly those which I bought during exceptional cases, like this one, since most of the time, I just go to the library and borrow a tome. So, this book was about the son of a dice-player. Apparently, there was a cult of dice-people, living randomly, based on the decisions of the dice. Now this book was designed to be humorous, but sometimes I find it drab, especially the beginning part. Perhaps that was the reason why I took a month to finish it. Anyway, the main character is a Wall Street trader whose father is the bizarre founder of the dice cult. He goes on searching for his father, and loses his sense of order. In the end, he finds his father. Anyway, so that was over. 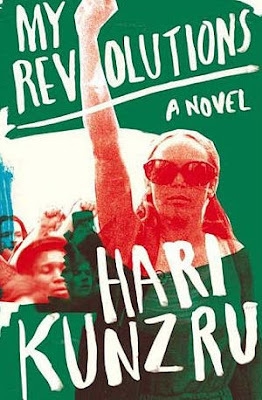 And now I started reading on a novel by Hari Kunzru, entitled My Revolutions. I suppose I picked this one up because I had a great time reading another of his novels about a year ago, when I picked up Transmission, of which I reviewed here. I am sure that this book doesn't have the comic feel that the other one had, but from the few pages that I read yesterday, I had a feeling that I would enjoy this one, even though it had a more serious tone to it than the first one. So there. I better get back to working on my paper revisions.